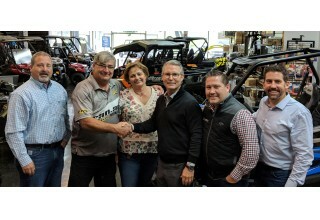 A new era begins for Granbury Motorsports as Powersports Listings Mergers & Acquisitions helps Mitch and Maureen Milson sell to auto industry entrepreneurs Mike Kolb and Ben Lange. 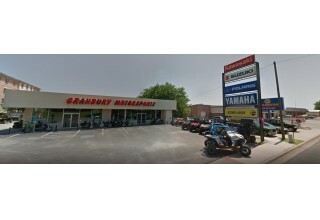 GRANBURY, Texas, November 12, 2018	(Newswire.com) - Located approximately 35 miles southwest of Fort Worth, Texas, just off US Hwy 377, Granbury Motorsports began life as a single-line Kawasaki dealership many years ago, with Mitch and Maureen Milson taking possession in 1991 after a career in corporate positions. Their ownership brought new excitement into the dealership and it wasn’t long before a succession of additional lines were added to supplement the Kawasaki line, including Polaris, BRP and Yamaha. Mitch and Maureen continued to conduct business the old-fashioned way, like bike shops in the early days, with a fun, low-pressure atmosphere, taking time to speak to a customer about the fun and practical sides of the products offered, even as revenue grew exponentially. The Milsons grew to a staff of 15 employees with an extensive selection of parts and accessories, an award-winning service department and sales of over 450 vehicles (new and used) per year. Mitch and Maureen Milson had been at the helm for 27 years when the decision to "dial it back" and retire came into discussion. Upon their research into the process, they quickly came across Dallas, Texas-based Powersports Listings Mergers & Acquisitions (PLMA) as the leading motorcycle, powersports and RV dealership brokerage firm to assist with their sale. After PLMA provided its professional consultation on the market potential and produced the confidential marketing package, the opportunity immediately caught the attention of auto industry entrepreneurs Mike Kolb and Ben Lange based out of Dallas, Texas. Jerry Szopinski, PLMA president of sales and networking, managed the initial introduction and swiftly moved the process forward with a formal offer. The PLMA system kicks into full gear from there working through the definitive agreements, OEM approvals and all other deal logistics through the closing. Mitch Milson recounts, "When we decided to sell Granbury Motorsports after 27 years, we were blessed to find Powersports Listings M&A which made the entire process easy to manage and they were always readily available when I had questions. They handled the entire closing process with great expertise. I wish to thank all of their crew for helping me with this sale." The new ownership operates under the name Progressive Powersports and has plans to expand with multiple locations across North and Central Texas. Progressive Powersports COO Bobby Whitney oversees day-to-day operations at the Granbury location, stating that "All work AND all play is what I do. We sell fun." Powersports Listings Mergers & Acquisitions (PLMA), the professional powersports industry dealership brokerage, specializes in intermediary services to buyers and sellers of Harley-Davidson, powersports, RV and marine dealerships. The company is an independent affiliate of the Sunbelt Network, the largest and most professional business brokerage network in the world servicing privately held companies. The PLMA difference is that its clients get the benefit of a truly professional firm with an unmatched domestic and international footprint that reaches far beyond that of an individual broker. Our Sunbelt affiliation provides us with proprietary technologies, world-class training and the scale of the organization, which sells more businesses than any other in the world. We provide all of this to Harley-Davidson, powersports, RV and marine dealership owners on a success-fee basis. The PLMA team has over 70 years of combined powersports industry experience and our firm has arguably handled the successful sale of more powersports dealerships than any other in the world. Our relationships run the full spectrum, from the industry manufacturers, distributors, dealers and consumers, which keeps us highly networked in order to identify strategic buy/sell opportunities. At the same time, our network and technology span worldwide to assure that the highest and best buyer may be located whether currently in a motor vehicle dealership business or from some other line of industry. The PLMA home office is centrally located in Dallas, Texas. To learn more about PLMA, please visit http://www.powersportslistings.com or https://powersportslistings.blogspot.com. Powersports Listings Mergers & Acquisitions (PLMA), the professional Powersports Industry dealership brokerage, specializes in intermediary services to buyers and sellers of Harley-Davidson and Powersports dealerships. Powersports Listings Mergers & Acquisitions assists Jeff Cheek with the sale of his Renton, Washington, Harley-Davidson dealership location. The Motorcycle Company changes the name to JET CITY Harley-Davidson and soon will add the LIVE WIRE Electric motorcycle lineup. Powersports Listings Mergers & Acquisitions (PLMA), the professional powersports industry dealership brokerage, specializes in intermediary services to buyers and sellers of Harley-Davidson, powersports, RV and marine dealerships. PLMA announces the closing of the sale and ownership transfer of Central Texas Powersports - Georgetown, Texas. Sign up for email updates from Powersports Listings | Mergers & Acquisitions.